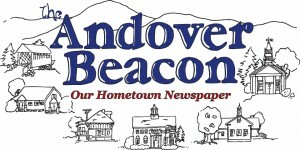 The Concord Regional VNA is holding a Senior Health Clinic at the Andover Hub, 157 Main Street in Andover on Tuesday, April 16 from 10 AM to 1 PM. All Senior Health Clinic services are provided for a suggested donation of $10, however, services are provided regardless of a person’s ability to pay. Services offered include foot care, blood pressure screening, B-12 injections, medication education, and nutritional education. Call (603) 224-4093 or (800) 924-8620, ext. 5815 for an appointment.